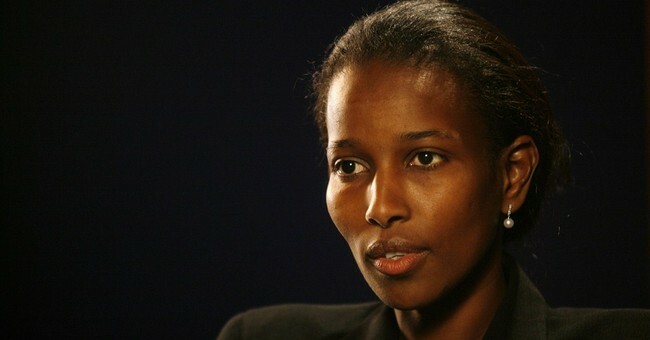 Ayaan Hirsi Ali is an activist who was once a victim of genital mutilation as a young girl in Somalia. It's no wonder she is now an outspoken critic of Islamic extremism. Today, this bold woman has called out feminists who refuse to speak out against radical Islam, demanding reform "in cultures and religious doctrines that continue to oppress women." She continues to speak out against political violence despite the danger it puts her in. Nevertheless, Hirsi Ali was somehow included in the SPLC's "Field Guide to Anti-Muslim Extremists." She penned a response in The New York Times. The SPLC missed the mark badly, she says. Islamic extremism is an evil - "as toxic as white supremacy." Sadly, the SPLC has fooled big corporations into believing their effort is a worthy one. The likes of JPMorgan Chase and Apple have donated nearly $2 million to the SPLC since they published their "hate" list. "If Tim Cook and Jamie Dimon had done their due diligence, they would know that the S.P.L.C. is an organization that has lost its way, smearing people who are fighting for liberty and turning a blind eye to an ideology and political movement that has much in common with Nazism," Hirsi Ali wries. The Wall Street Journal's Kimberly Strassel echoes Hirsi Ali in an urgent op-ed published Thursday night. Had these companies done their homework, she writes, they would have discovered that SPLC is not a charity, it is a "propaganda operation" whose No. 1 goal is fundraising.